Did you know you can save hundreds of pounds on contracts and other legal documents by simply buying ready-made off-the-shelf versions? All these documents are written by experienced UK lawyers and are up-to-date according to the most recent UK law. 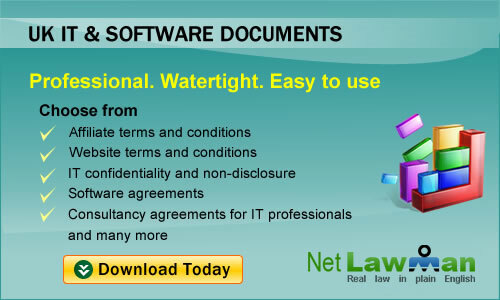 The use of legal jargon is kept to a minimum and all the documents are easy to edit and adapt. Simply pick your document you need, download it then add the specific information that relates to your business such as your company numbers, and registered address. Net Law Man will even provide you with support if you have a question! 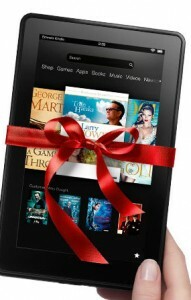 Would you like a free iPod, Nintendo 3DS or Kindle Fire? All you have to do to is find us a potential Social Media client! If they go on to sign up with one of our social media packages for the minimum 3 month term, you can have your pick of one of these fantastic gifts. Here at Seven Creative, we offer a range of social media management packages that can be tailored to suit all businesses. We can set up and write blogs, manage your social networking and take care of your email marketing. So who do you know that wants to bring their business into the 21st century with the power of social media, but doesn’t have the time or knowledge to do it themselves? Refer them to us and you will be rewarded! 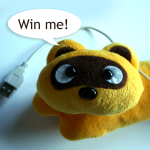 Win a cuddly raccoon USB warmer! Here at Seven Creative, we’re offering you the chance to win a cuddly raccoon USB warmer. All you have to do is like our Facebook page for the chance to win this cute little guy, who’ll keep you toasty warm in front of your computer until summer arrives. We are great fans of them in the office, especially Ellie. It’s not often you’ll see her eagerly typing away without his cute little face peeping out from under an item of her clothing! As you can see from the desperate look on this one’s face, he can’t wait to be won. We’ll allocate one winner from the first 25 people to like our Facebook page, and after 50 likes, we’ll allocate another. Go to http://www.facebook.com/pages/Seven-Creative-design-agency/135031813196711 or use the button below for your chance to win the lovely fellow! Good Luck!